When we weren't working or studying, we spent this past fall exploring the area around our new home, Reno. 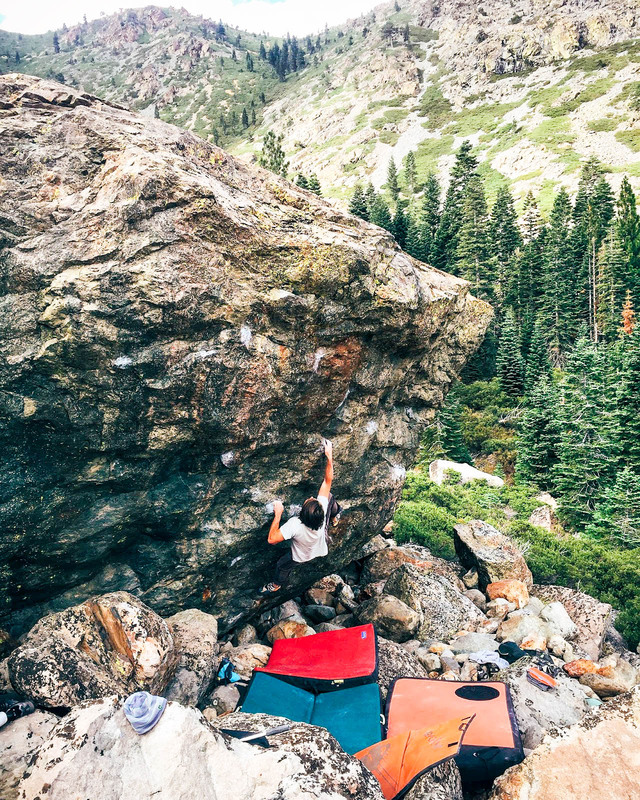 It's really cool to live in an area where the shear number of established boulder problems and routes is overwhelming–and that's not to mention the problems and routes that have yet to be discovered. 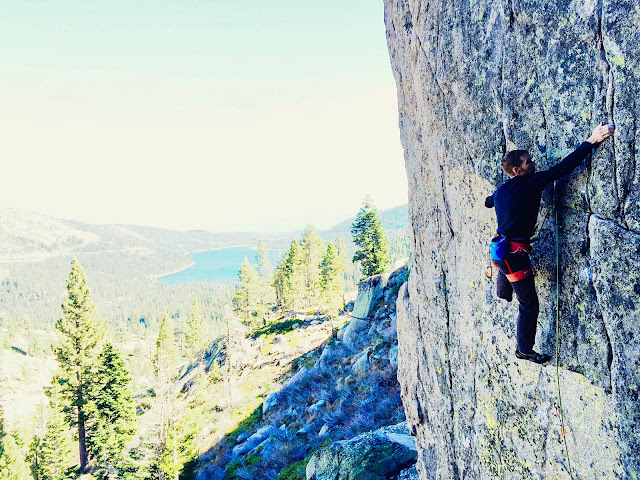 Beyond the enormous quantity of rock here, the quality of the granite is excellent, which makes it even more satisfying to climb, and makes us even more excited to look for more rock in the future. Pictured below are some of the areas closest to Reno: Tahoe and Sierra Buttes. A panoramic shot of The Only Boulder in Sierra Buttes. 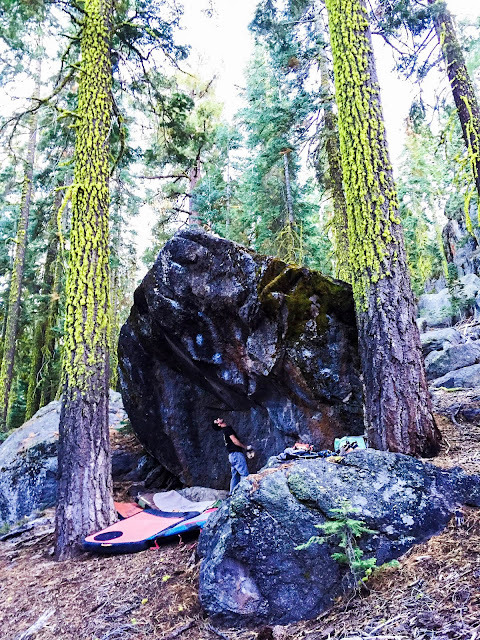 The Only Boulder in Sierra Buttes was one of the areas that David spent the most time at during the heart of autumn. The altitude there is a bit higher than some of the other Tahoe areas, which makes it more pleasant while you're waiting for colder weather. Friend and local, Brian Sweeney, took David out to this all-time classic, The Ashtray (V11, near Truckee). Simon Moore on a classic Donner Summit route, Pump Lust (.13b), at The Snowshed Wall. 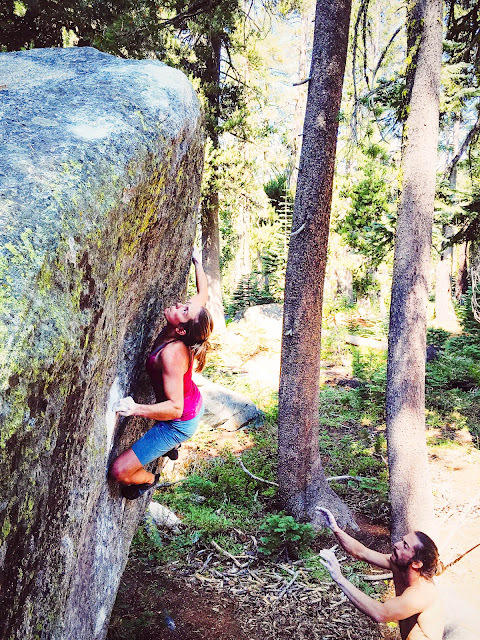 Sander Pick sends Dark Matter (V11) at Sierra Buttes, about 1.5 hours from Reno. 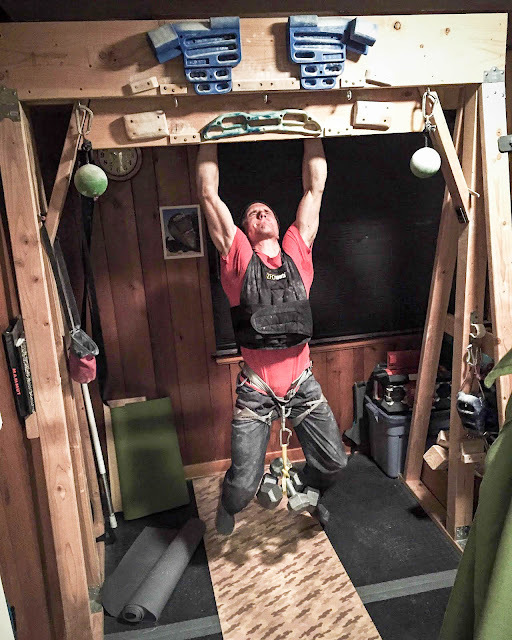 David puts in some work on our home training rig. Butts at Buttes from varmlandsmaskinen on Vimeo. It's a Beaut' Out from varmlandsmaskinen on Vimeo.